The operation of a Fabric cutting machine to properly ensure safety in order to improve the machine, cloth cutting machine’s working efficiency, so the operation of cloth cutting machine when what matters, we try to understand the rules of safe operation of the cloth cutting machine. 1. Check whether the parts of the cloth cutting machine are normal. 2, the operation of a cloth cutting machine, hand and machine needle should maintain a certain distance, a wounded hand. 3, handle the broken line, change line and other faults, feet should leave the foot board. 4, machine cleaning and refueling, you must cut off the power supply. 5, electrical appliances, machinery failure, should notify the maintenance personnel in time to deal with, is strictly prohibited to disassemble. 6, to properly keep the needle, tweezers, scissors and other tools to prevent hand injuries and cloth damage. 7, after the completion of the work, cut off the power supply, gas source. 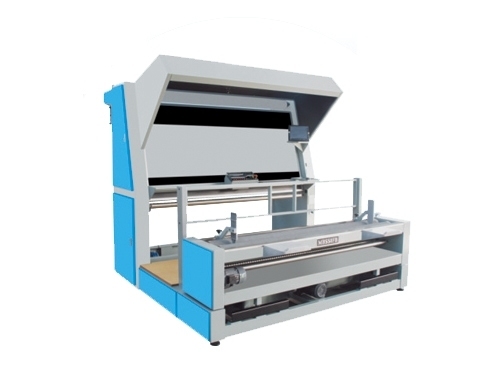 The above is the attention cloth cutting machine, grasp these precautions to ensure the safety. Suitable for cutting straight and 45 – Degree Diagonal straps in different widths of cloth adhesive-Bonded Fabric Foam cladding paper and reflectorized material etc: suitable for industries like clothing shoes & headgear Bags, Swim wear Home Textiles & so forth. Available in various working widths. Length measurement by reputed counter meter. We have perfected the Design & Manufacturing of the wide range of cloth Rolling Machine Available in various working widths which are Easy to Operate Technically Advance and Being Developed by Highly Qualified Engineers having vast experience of this field. Fabric relaxing machine, fabric plaiting machine, fabric piling machine, fabric releasing machine, fabric relaxing machine. Usage: This fabric relaxing machine is suitable for plaiting various kinds of fabrics, has been widely used to eliminate fabric tension during process. 1.Motor of this fabric relaxing machine is cotrolled by inverter. 2.This fabric relaxing machine could be in forward or reverse runing. 3.Equipped with two solid wood plates installed two wheels at one side for piling fabrics.